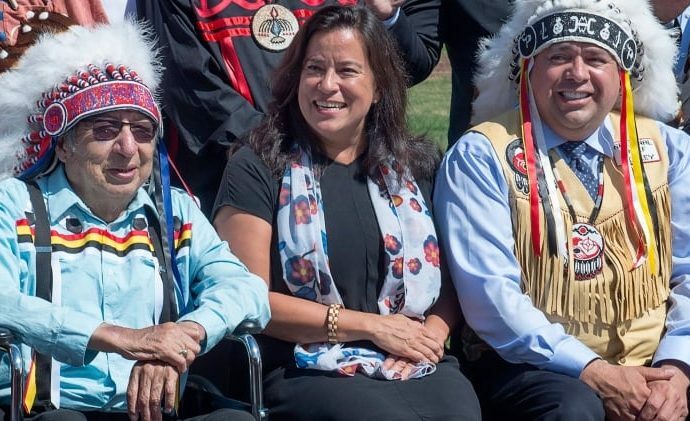 On Anti-Bullying Day, Canadians watched their former minister of justice and attorney general Jody Wilson-Raybould _ a Kwakwaka’wakw Canadian woman _ stand up to her bullies, the prime minister and his senior officials, as she testified at a Commons committee. I am not a lawyer, and I do not claim to be an expert on the details surrounding prosecutorial discretion or remediation agreements, but I am a feminist and critical race scholar. And from my perspective, it was powerful to watch Wilson-Raybould calmly and firmly describe how, after she did her job and made a tough decision in the SNC-Lavalin case, she withstood consistent attempts by the government to pressure her to obstruct and interfere with justice. During the testimony, Liberal MPs tried to discredit her by questioning her integrity. They implied she was difficult because she refused to “continually assess” the situation. They inferred that she was sneaky because she didn’t quit her job when first faced with what Wilson-Raybould called “consistent and sustained” political pressure, including “veiled threats” from Prime Minister Justin Trudeau and officials in his office. The MPs tried to make her sound inflexible when she refused the advice of senior officials to seek outside counsel. Or as Foreign Affairs Minister Chrystia Freeland insinuated to the CBC, Wilson-Raybould simply couldn’t handle robust discussion and pressure. But what I saw was a strong, professional Indigenous woman defending the integrity of our justice system. Many women know what it feels like to have their credibility questioned by men while remaining steadfast in an opinion or refusing to comply. But Indigenous women in this country have a particularly brutal history with white male bullies. When European colonists arrived in North America, they had specific ideas about appropriate female behaviour. Women were supposed to be submissive and domestic. Yet, as Winona Stevenson, a Canadian Cree scholar has shown in her historical research, many Indigenous women lived a different reality. Whereas European women were confined to working in the home and obliged to obey their husbands, Indigenous women were often economically independent and actively involved in the public sphere. European missionaries were horrified by Indigenous women’s independence and autonomy and wrote extensively about their disdain for this freedom. Scholars who have studied the letters and documents written by both French and English missionaries have noted this recurrent theme, including how missionaries actively tried to make Indigenous men complicit in their efforts to control Indigenous women. But First Nations, Inuit and Metis women have consistently resisted white men’s attempts to subjugate them, fighting back physically, running away and resisting controls on their freedom. Sociologist Karen Anderson, for example, studied the Jesuit writings from New France and found that in the earliest documents, there were many descriptions of proud, disobedient and independent First Nations women which seemed worrisome to Jesuit colonizers. But three decades later, Anderson found fewer and fewer portraits of rebellious Indigenous women. Instead, she found story after story of Indigenous women chained, beaten and punished publicly if they did not obey men. The subjugation of Indigenous women is an integral part of Canada’s horrific colonial heritage. I expect that over the coming days and weeks, white women will line up to defend the prime minister and their privilege. Too often, the public face of feminism is white, but as Vowel notes, “to look at any of this solely through the lens of Western feminism is to miss the larger picture”. White feminists in power often fail to take into account the realities of Indigenous women and instead align themselves with white men. When Wilson-Raybould made her firm and final decision on the SNC-Lavalin case and communicated this to the PMO, they would not take no for an answer. They hounded her even when she explicitly told them to stop despite her forceful protests. But she stood her ground. She stood up to sexism which is rooted in white supremacy. 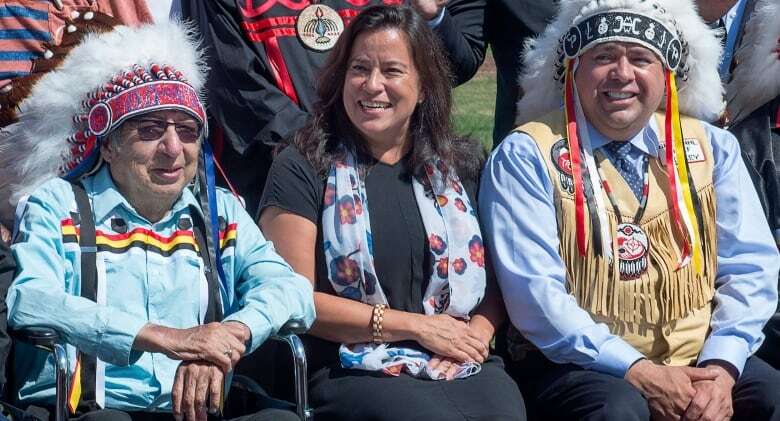 Wilson-Raybould credited her family and culture with shaping her ways of being in the world. This is what a feminist looks like, Prime Minister Trudeau.